If you overprice your home, not only will you miss out on views, showings and offers, but you'll lose credibility with buyers. Expect that buyers who live in your area have done their research, so they know what similar homes are worth, and they likely won't want to get involved in negotiations with sellers that seem to have unrealistic expectations. When you're working with an agent who advises you to overprice your home, or doesn't advise against it, they're either uncomfortable being honest with you (not a good quality in an agent), they just want to get their sign up in your lawn for exposure, or they want their name to be associated with higher priced homes. None of these motivations are good ones, so if they don't advise you to price your home appropriately for the market, start shopping for another agent immediately. According to research, you'll get the best price for your home if you sell within the first two weeks of hitting the market. If you price competitively, you're likely to get attention from multiple buyers who recognize the value of your home at the listed price. In a competitive offer scenario, you could end up getting more from your home than you would if you overpriced. We can't stress enough how important it is to find the right asking price. To get started, check out our home value estimator, then call one of our agents for some expert advice, 617-236-0353. You know the drill: new year, new this that and the other thing. 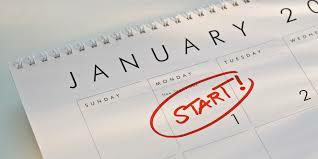 But according to Statisticbrain.com, only 9.2% of people feel they're successful in achieving their New Years Resolution, which means that over 90% of people set themselves up for failure. This year, instead of vowing to spend more time at the gym or less time on devices, how about shifting the focus to your home. Houselogic.com has put together this Top-10 List of New Years Resolutions for your Home, and we think you should take a look so that when 2017 comes to a close, you have a sense of achievement AND you’ve added value to your home! For more tips on how to care for and add value to your home throughout the year, contact our team of experts who love to share what they know!